So, what do I do, exactly? I work with tarot (TWS and Thoth), oracle and playing cards as well as casting charms. Every one of my spirited tools has it’s own voice, personality and expertise. So, depending on our focus , I’ll either do a layered reading or simply go with the right tool for the right job. I like to think of each card or charm as an individual part of a divine language. They come together energetically to form a story with a theme, conflict and a guided resolution. During our divination, I become the vehicle for this narrative, a messenger, or translator. 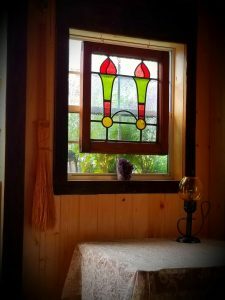 Please note that all private readings, whether they’re here at DAS GHEISTHAUS (my Seer Shed), remote or on location must be booked and purchased in advance. 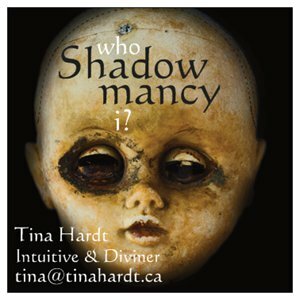 All PRIVATE DIVINATION sessions – including SHADOWMANCY or TRUE NORTH ORACLE readings are $60.00 for a 60 minute (at least) reading . Facebook Specials: PAY IT FORWARD PROMOTION Readings (email/phone) are $25.00 (You pay me 20 and direct the 5.00 back into a random act of kindness like buying a stranger their coffee). SHADOWMANCY is an intensive session. The introductory price is $60.00. We can spend the rest of our lives living in pain, stuck, blocked, unfulfilled, settling for the mediocre and often handed-down or inherited version of ourselves. We can continue to cause hardship for ourselves and others and live in exile from our core ideals and beliefs.And why not? It many ways it’s easier. And maybe even what we’re used to – this chaotic default. Or we can simply decide that enough is enough. Suffering was never our birthright! We have a choice of either making friends with our core wounds or redirecting that energy into ways of moving on. Breaking childhood or ancestral patterns begins with a burning need to know Who am I? Why am I here? What’s blocking my Way? And, authenticity actually begins here, in the shadow, where life is but a theme. And an imprint. And a story that can be rewritten. 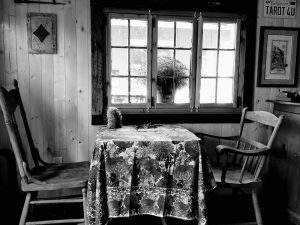 We begin by looking at your ancestry and what you’re able to share about those relationships followed by an interactive and revelatory session of divination using cards specially created for this work as well as casting charms. Then my work begins. The second session includes a review and a guided way of breaking the attachments and identification to that broken concept of self. We finish with work thats been crafted to shift this energy. 60 minute intuitive reading including cards and charms and a follow-up phone or Skype connection. My heart and soul desire this; I’m ready to do this; I believe this will be so. Out with the old, and in with the TRUE. Introducing the True North Oracle reading. 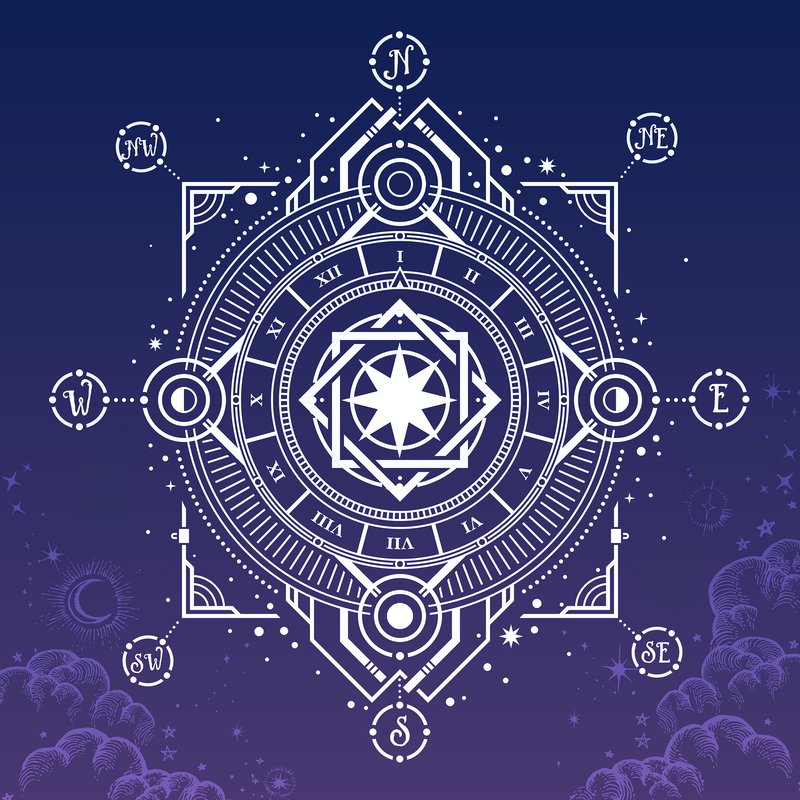 The luminous Carrie Paris (Carrieparis.com) and I lovingly created this True North Oracle as an inner compass tool that would help orient then anchor you in your Potential and Personal Truth. The divination that we’ll be doing here is to help you connect with your Purpose. We’ll embark on a journey through some intricate landscape to reveal your current bearings. We’ll open a dialogue with the unconscious to diagnose any limiting thoughts, patterns or behaviours before initiating a plan forward with a powerful new perspective and an unconquerable commitment to Self. We’ll use cards, a special set of charms and call in the blessing and guidance of the Daemon or Spirit Wind voices to bring in the force and wisdom of their 8 respective directions. They’re here for you to harness to either create momentum, propel you forward or to help tear down limitations. The key secret to successful, enduring manifestation and change is the ability to set an intention from a place of Truth and authenticity. Once centred in this sacred space, you can open to and access the magic that will begin to open new and joyful pathways.